The balance between meeting the world’s growing demand for seafood, and doing so sustainably, presents many complex challenges. At Ocean Matters, we strongly believe that with an acute focus on sustainable cleaner fish supply and utilization, we can help make a meaningful difference. It’s this vision that drives us forward every day. 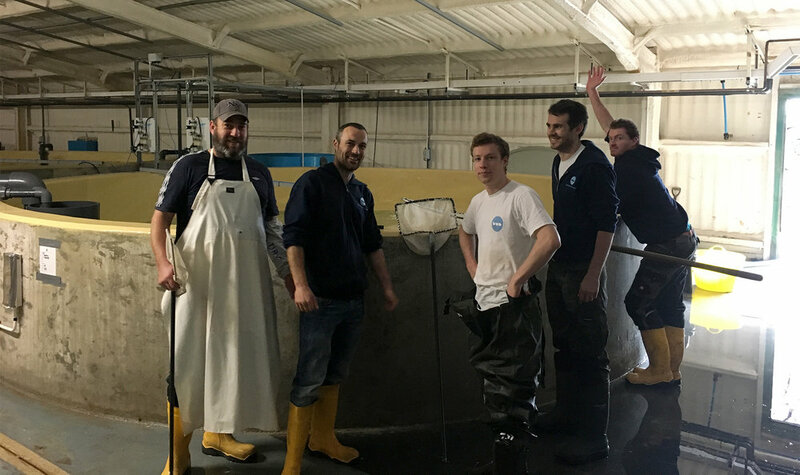 To become an industry leader in sustainable sea-lice management solutions by developing consistently reliable supplies of healthy cleaner fish and deepening our experience and support around their successful deployment. Our deep knowledge of marine water RAS systems and water treatment will help mark a difference. Research, breed and raise lumpfish in our world-class land based facility. Provide salmon farmers with effective ‘fish-friendly’ de-lousing programs. Help eradicate sea lice infestations in ocean water ways and migratory routes. Meet the demands of this growing market with focus, energy and passion. Help educate people (both within the industry and consumers alike) the benefits of using cleaner fish. Work closely with our clients to provide solutions catered to their specific needs.